Jesus Angel Rebollar, 18, was indicted on two charges of capital murder. 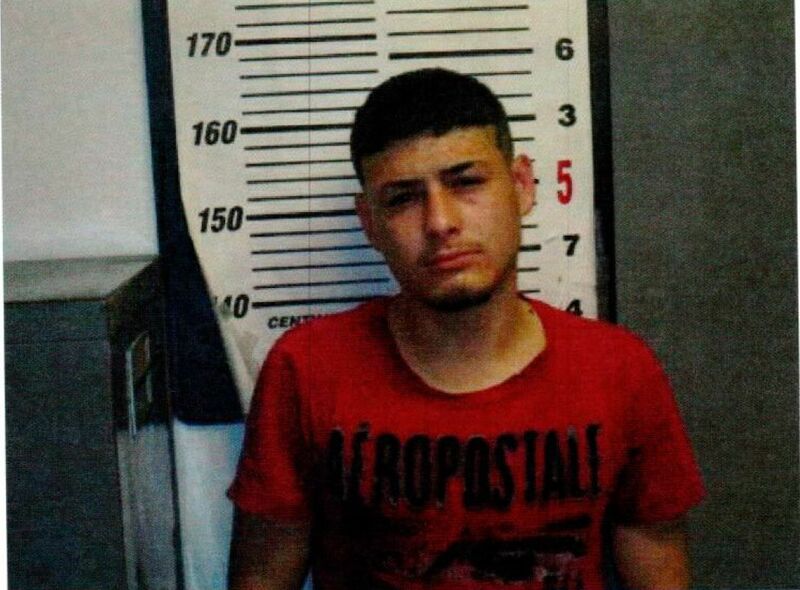 RIO GRANDE CITY – Prosecutors in the case of a young man charged in the double murder of a Rio Grande City man and his 3-year-old, will try to move the prospective trial to another location, according to Assistant District Attorney Abel Villarreal. After a pretrial hearing Monday for Jesus Angel Rebollar, 18, Villarreal said the district attorney’s office planned to file a motion to transfer venue by which, if granted, the case would be heard in a different location while the 381st district court would maintain jurisdiction. Villarreal, though, would not give details as to why they felt a transfer of venue was appropriate. However, in discussing the motion with visiting Judge David Wellington Chew during the hearing, Villarreal suggested there could be security concerns but did not elaborate in open court. As his client sat listening to an interpreter, Defense Attorney O. Rene Flores addressed several motions he had submitted to the court including motions to suppress statements, suppress photographic identification, and suppress in-court identification. Flores stated the defense was able to review one of the vehicles that was involved in the shooting but had yet to review the remaining evidence, in particular, a shirt that was allegedly worn by Rebollar and casings found at the crime scene. Villarreal said they were awaiting a report on the evidence that they are moving to expedite and will make the evidence available to the defense. Flores declined to go into details after the hearing in regards to the motions but said they were simply a part of the process. “We will have a pretrial hearing to hopefully go over some of the motions to sort of get a lay of the land in terms of what the judge will allow or what the judge won’t allow,” he said. A trial date for the case is currently set for Sept. 5. Rebollar pleaded not guilty to the capital murder charges in March in the deaths of Hector Garcia Jr., 41, and his 3-year-old son Julian Garcia who were murdered last November. The two were gunned down by “several individuals” driving a newer model, blue Ford truck, according to a statement Maj. Carlos Delgado, a spokesman for the Starr County Sheriff’s Office, issued just after the incident. Garcia was pronounced dead when sheriff’s deputies responded at about 6:10 p.m. Nov. 6, 2016, to the scene at the intersection of Woods Brothers and Segunda roads. His son was transported to the hospital, where he was later pronounced dead. If found guilty of the charges, Rebollar faces life in prison.